A travel agent is offering return seats from Auckland to Los Angeles for $699 and add-on fares to New York, Chicago or Miami for just another $10. Helloworld is selling 200 seats aboard American Airlines' new service at the cut rate price - $100 lower than those announced yesterday. The agency is selling the seats as a loss leader and helloworld general manager of marketing David Libeau said he expected them to sell out quickly. Those opting for the $10 add-on flights further east must pay for accommodation or a cruise to the value of $500 or more. Travel is between October 15 and December 15. ``The market is very competitive right now which has been driven by increased competition on the North American routes, particularly with American Airlines (to LA) and United Airlines (to San Francisco ) about to commence nonstop services from Auckland,'' said Libeau. American Airlines yesterday released Auckland-Los Angeles $799 return fares for later this year. The airline, which has teamed up with partner Qantas to take on Air New Zealand on the route, will start flights in June using a Boeing 787-8 Dreamliner. The fares are for travel between October 15 and December 15 and go on sale to midnight on April 1. `The market is very competitive right now which has been driven by increased competition on the North American routes, particularly with American Airlines (to LA) and United Airlines (to San Francisco ) about to commence nonstop services from Auckland,'' said Libeau. Erwan Perhirin, American Airlines vice president, Asia Pacific said he expected competition to remain intense. "It's one example of what choice and competition will bring to the market," he said. This has allowed us to expand our footprint without investing in new capacity. We didn't have the aircraft to get into the route. 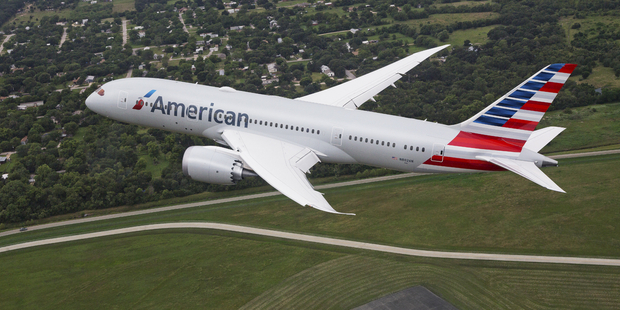 American Airlines is the world's biggest emerged from bankruptcy protection in 2013 but since its merger with US Airlines, restructuring and tail winds from lower fuel costs has made record profits and is growing aggressively. In the past three years it has ordered 1000 new aircraft and is adding new planes to its fleet at the rate of two a week. Perhirin said since announcing it would re-enter the New Zealand market, after a gap of 24 years, demand for its flights had been strong. Airlines have struggled to make the transpacific market pay in the past, including Qantas which pulled out of the Auckland-Los Angeles route four years ago. However, Pershirin said his airline was confident about the business case this time around for the flights which will be daily for much of the year. "We don't go into a route without the full expectation and commitment to succeed and while pricing is one thing what we'll be focusing on is competing on product and service." 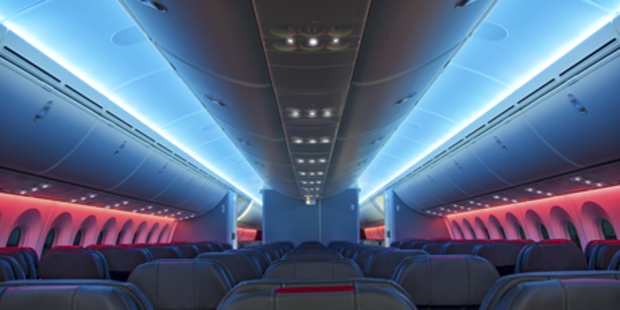 The American Airlines Dreamliners have a business class cabin with lie flat beds and offer wifi throughout the plane for US$20 a flight. It was also relying on the expertise of its revenue partner, Qantas. "Working with Qantas, adopting best practices, tailoring the product and service offering to local expectations is going to be part of winning a long term viability," he said. Stephen Thompson, Qantas senior vice president Americas, NZ, Pacific Islands and Japan, said his airline didn't have the right plane when it last flew here so struggled and crucially, wasn't able to use a partner's aircraft. "This has allowed us to expand our footprint without investing in new capacity. We didn't have the aircraft to get into the route," he said. The Australian airline has expanded in New Zealand with Jetstar flying into regional routes meaning passengers were able to fly on routes such as from Nelson to New Orleans more seamlessly on the Qantas-American partnership. Sean Berenson, Flight Centre NZ general manager product said there had been considerable movement in the last six months with new carriers entering the New Zealand-US market and a marked decrease in pricing. A couple of years ago a good tactical fare would have been around $1599. Older PostKiwi air links boom - Who's flying here now?